You want to make magic videos, which have slow motion and fast motion but your default camera does not allow that, so Speed Motion Video is the perfect choice for you. With Video Effect and Slowmo you can create video with effects and the speed you want with just one operation. slow motion video editor and video speed editor Slow motion video of sport activities scenes. 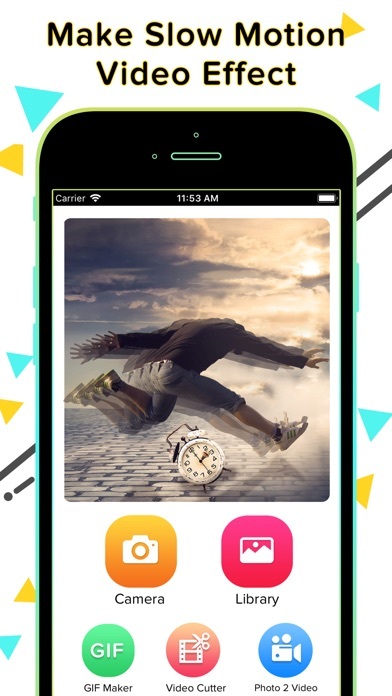 Slow motion editor is Slow Motion Video or Slow Motion Camera to Create awesome videos with Fast Motion, Slow Motion and Reverse Video edits! Slow motion video editor App allows you to edit videos from your gallery or capture from the app and publish on iPhone. Get This mighty yet easy-to-use film maker for sharing on Facebook, Instagram, inShot, Go Pro, Wasap, Splice, YouTube, Twitter, Telegram, Vimeo and more. Video Filters and Video Effects - Slow Motion & Speed Up Video - Speed Motion : Make a slow motion video using slow motion video editor! You can also make magic fast motion video. Slow Motion Video FX lets you choose the speed of the output movie. - Slow Motion Video Maker - Latest : Slow motion for me to convert video into slow motion video. Now a trends for make slow motion videos like some objects falling down like - table spoon, nuts, seeds and... make it slow. - Slow Motion Video Zoom Player: record you spitting water and slow it down video slow motion with slo-mo effect - Slow Motion Cam recorder Fast Lapse motion Video : slow motion editor will also help to make your speech fast, slow motion videos, slow down video using slow motion camera - you will sound like a tiny little mouse! - Video Speed Control : Set the speed effect like -16x, -8x, -4x, -2x, +2x, +4x, +8x and +16x - Reverse Video : Convert your slowmotion videos with Superb Reverse Effects. - Easy Slow Motion Video Maker 2018 : Slow Motion Frame Video Player is perfectly give slow motion effect. - Slow Motion Video : Watch videos in slow motion and Slow motion also Create Slow Motion Video from Gallery and Camera live Slow Motion Frame Video Player Slow Motion Frame Video Player for iOS let you play HD/SD videos, slow down video, control video frame rate, slow motion video player, video jolts, audio pitch and apply color filter for B/W effect, playing video player in slow motion. Slow motion - cam recorder video Fast Motion Lapse slow motion camera is help you create amazing video. slow motion editor help to Create slow motion, slow mo guys with slo-mo effect& fast motion playback speed editing in to your videos! slow motion video editor is fuminate to slow down video for cam recorder. 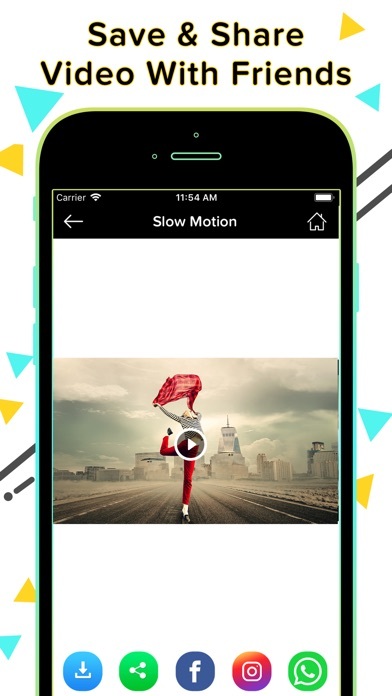 Slow Motion Video Maker - Slow motion movie maker Slomo, Slow Motion, Fast Motion, Slowmotion, Slow motion camera, camera, Speed Editor, Video Speed editor, Video Speeder, Video Editor, Add Music to video, Fast Motion, Motion Editor Video. Slow motion editor FEATURES - SLO-MO, FAST-MO, REVERSE video effects - Slow down video - Slow Motion, Reverse Cam, Fast Video - Fast motion video - Reverse cam - Speed videos - speed up videos - reverse vid - rewind slow video - funimate rewind video - speed video iphone video editor - reverse video slow down music SOME IDEAS TO TRY - Make you friends laugh with recording their talking, dancing or eating Also Known as: Slow Motion Video Editor, Slow Motion clip maker, Easy Video Slow Motion, Video Song Slow Motion,All Video Slow Motion, HD Video Slow Motion, Offline Slow-Motion Video, Total Video Slow Motion, Slow Motion Video Maker, Slow Motion my Video, Slow video maker, Video Speed Slow Motion, Slow Motion Video Fx,Slow Motion Video Tool, Slow Down Video Please rate us if you like the app. Thank you!